Thought that the election drama of 2016 was over? Nope, because this is apparently the election that will never end. Green Party presidential candidate Jill Stein is leading recount efforts in a few key battleground states amid her concerns of hacking or tampering. In theory, if the results in each of the states switched to Hillary Clinton, she could win the election (and not just by popular vote). So which states could be overturned by a recount? Each of them were key states to winning the 2016 election. On Thursday, Wisconsin began reviewing three million ballots across its 72 counties. According to the New York Times, Michigan will likely follow suit on Friday. Pennsylvania's votes are up in the air due to ongoing legal challenges, with a judge already denying a motion for a recount in Montgomery County. Still, if all three of those states participate in a recount, then all of them go for Clinton, then she would have won the Electoral College with 278 votes. As the New York Times noted, all of the states will be working against a tight deadline. The Electoral College meets on Dec. 19, and the states would have to have their recount totals in several days before that. In Wisconsin and Michigan, they would have less than two weeks to turn around recount totals. Stein is also asking for another look at Pennsylvania ballots, though many of the deadlines to file petitions has already passed. So technically, all three of these states could be in play for a recount. But as The New York Times, the Los Angeles Times, and many other outlets have noted, a recount is highly unlikely to change the results of the election. The Los Angeles Times' Noah Bierman and Michael A. Memoli wrote the chances of changing the election result "next to nil." 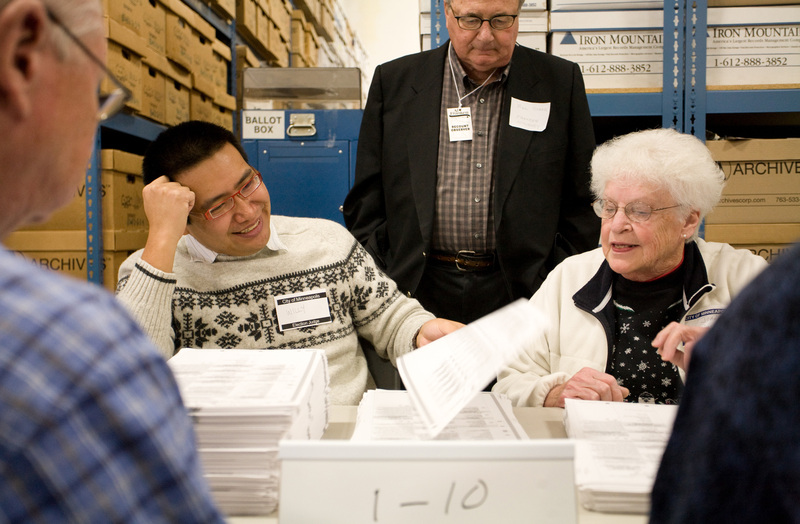 Bierman and Memoli, in fact, argued that the recount could be more about political gain rather than the actual hope that the election could go to Clinton. As Bierman and Memoli put it, "a combination of self-interest and a desire for misdirection have propelled factions of both parties to debate the results of an election already decisively settled." Whatever the motives, it is unlikely that Clinton will end up with the presidency. But it is up to Wisconsin, Michigan and Pennsylvania to let us know for sure.